It was in this moment that I realized not all students look forward to these extended breaks from school. While most kids (and teachers!) flee from school gleefully on the last day, many students like this one dread the break from school. They miss the structure of the school day, the stability of the classroom, the presence of friends, the food in the cafeteria, and the love their teachers give them. Although we cannot change our students’ home circumstances, there are ways teachers can help their students in the weeks leading up to and during the winter break. None of these ideas take a ton of time or money, but they may help ease the stress for some of your students. Be aware of how you talk about winter break. This time of year, more than any other, is when students in my class act out the most. For some it’s end-of-semester restlessness, but for others it is anxiety over the upcoming break. As teachers, we can pay close attention to behavior that is out of character and check in with those students individually. Have a conversation with that student who is more hyper than usual. Ask that student who keeps falling asleep how they’re really doing. Give those kids a chance to vent and then let them know you care about them. One of the best things teachers can do for their students during this season (and all other times of the year) is listen. Connect students with resources when possible. There are so many coat, toy, and food drives happening during the holiday season, but students may need someone to connect them with these efforts. If you’re concerned about a student’s food security or lack of winter gear or presents, speak with your school’s guidance counselor about opportunities that might already be happening in your school or community. Avoid giving students individual gifts, even if it’s a well-intended winter coat, without speaking to school administrators and the student’s family first. Give students an opportunity to serve. No matter what one’s circumstances are, everyone has the ability to serve others. And for most, the act of giving brings joy in return. How can your class serve together this holiday season? Could you perform acts of kindness for one another or write thank-you letters to military members stationed overseas? One of the best ways to participate in the holidays is through service, and teachers can orchestrate these opportunities for all of their students. Connect with students in little ways over the break. Once you identify students who are dreading the holiday, write down their names and make a point to check in with them over the break. Shoot a quick email to them sometime during the week, letting them know that they are on your mind. It does not have to be lengthy, just a personal message reminding them that they are important to you. The message that you care enough to connect with them during your time off will have more power than you know. Enjoy this season and all the festivities that come with it. Just keep in mind that you have many students who will not, and you, as their teacher, have a special opportunity to meet them where they are. 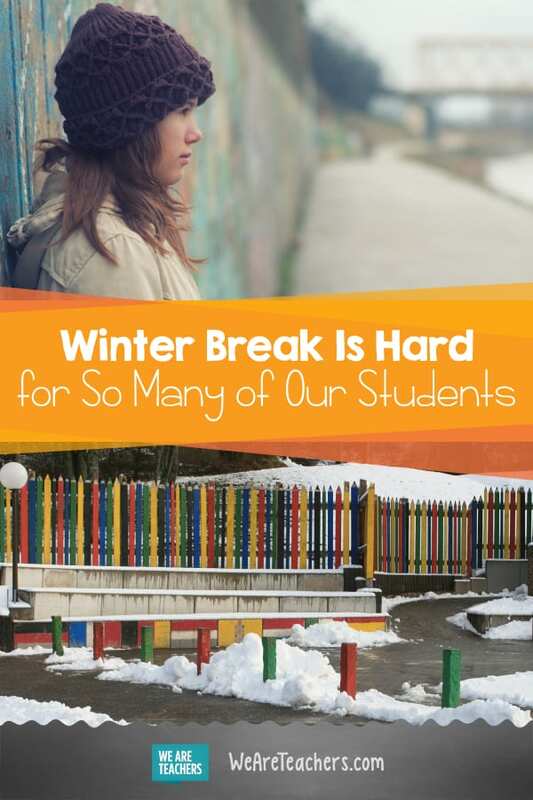 How do you support students who may not be looking forward to winter break? Come and share in our WeAreTeachers HELPLINE group on Facebook. 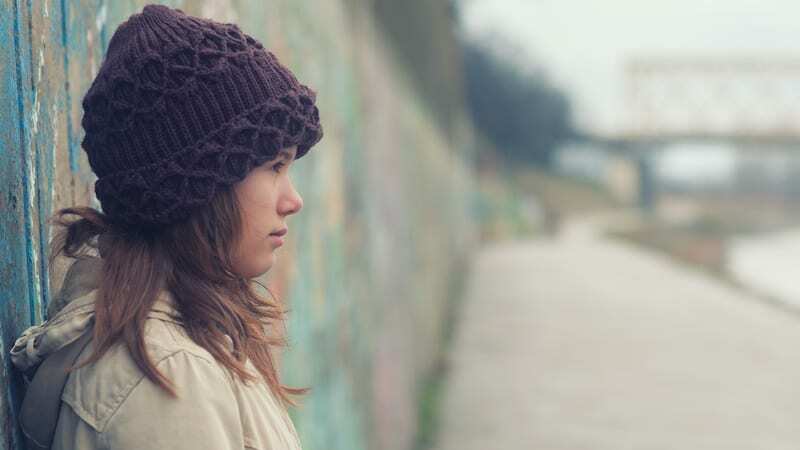 Plus, ways to support students dealing with childhood trauma.